Bhai Sahib was a top kabbadi and hockey player. Bhai Sahib, like many other youngsters, entered the Sikh Liberation Movement. Bhai Varinder Singh had previously courted arrest in the Dharam Yudh Morcha’s peaceful agitations. Bhai Varinder Singh Dakha was killed in a fake police encounter near the Sirhind canal by Patiala police. Bhai Gurjant Singh keeping true to his word and promise to his close friend did not perform the final rites of Bhai Varinder Singh Dakha until he had eliminated the main culprits of Bhai Sahib’s death. Bhai Sahib, like many other youngsters, entered the Sikh Liberation Movement. Bhai Varinder Singh had previously courted arrest in the Dharam Yudh Morcha’s peaceful agitations. Here he had met Shaheed Bhai Jarnail Singh Halwara and Bhai Charanjit Singh Channi (Talwandi Rai) under whose guidance Bhai Sahib was convinced to join the movement. 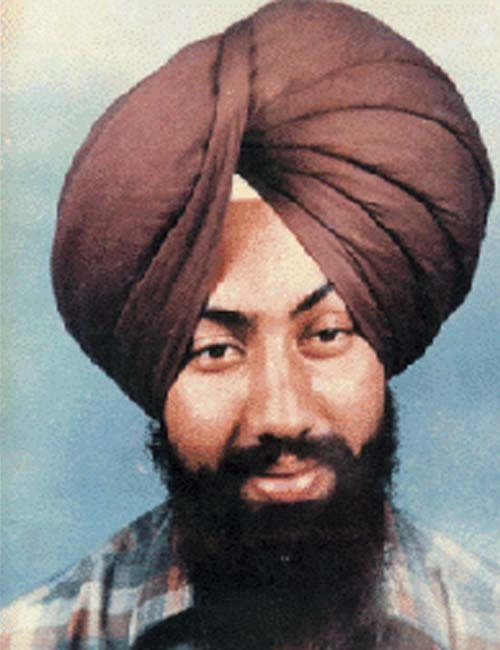 After the assassination of Harchand Singh Longowal, and mention of Bhai Sahib’s name, Bhai Varinder Singh Dakha became a wanted man, thus he operated under the new name of Vikram Singh. In Ludhiana district Bhai Sahib’s name became attached to Bhai Jarnail Singh Halwara, and stories of his bravery began to circulate. Varinder Singh Dakha was as strong and pure on the inside as he was on the outside. This was one reason Shaheed General Gurjant Singh Budhsinghwala kept him close to his heart, he was not only a great warrior under his command but also a great friend. 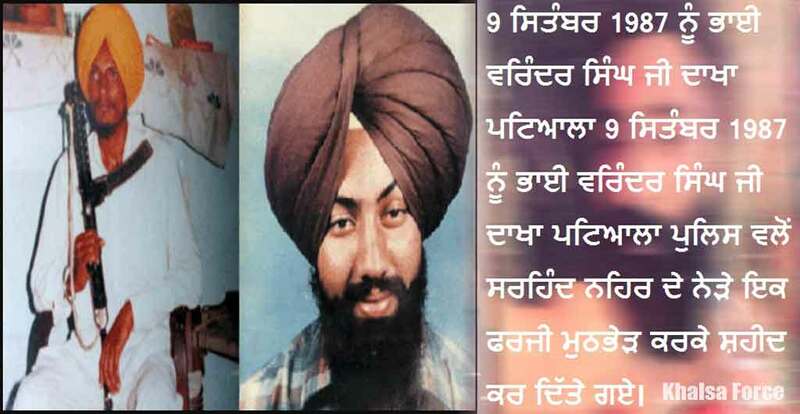 Bhai Varinder Singh Dakha and Gurjant Singh Budhsinghwala had promised each other that if one was to attain Shaheedi the other would not perform his final ardas until he had eliminated his killers. Bhai Sahib’s Shaheedi was a big shock to all his loved ones. One of whom was his mother. Mata Ji knew the path that Bhai Sahib had chosen would result in his Shaheedi, but a mother will always be a mother and after Bhai Sahib’s Shaheedi, mata Ji was left heart broken, a few years later Mata Ji also left the world. Bhai Sahib’s father had become disabled a few years earlier and was for this reason was unable to work. Bhai Sahib’s family was constantly harassed by the Punjab Police, but the endless endurance of brutality and oppression at the hands of the Punjab Police was not able to break the spirit of the brothers and sisters of Bhai Varinder Singh. Accepting it all as God’s will the family did not lose morale and continued with life as best they could.